Discussion in 'Mt Buller' started by VSG, Jul 4, 2010. Sure do! 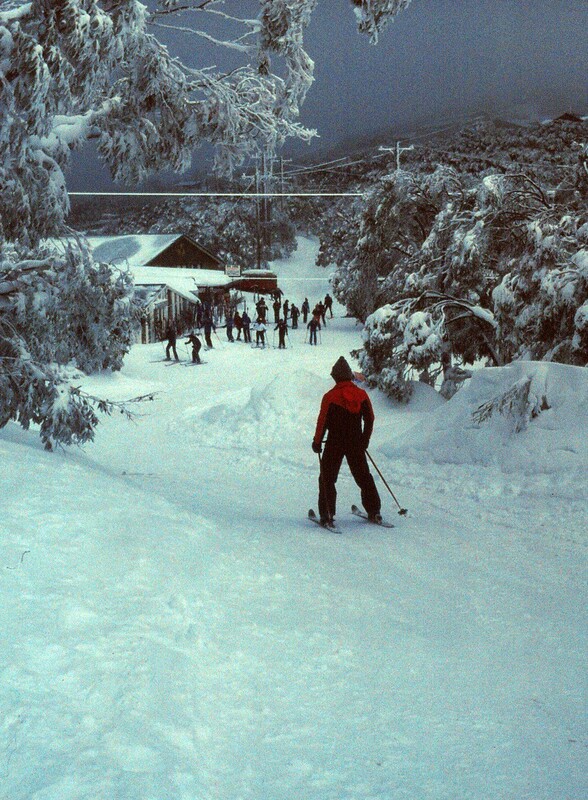 And miss seeing that much snow at Buller. 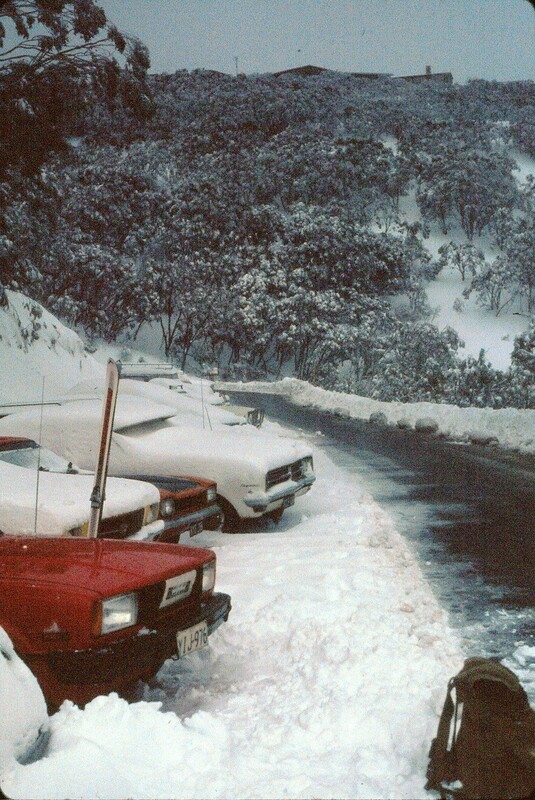 All that snow, even in the carpark. Those are days to savour. The big dump. July 1981. I was there. Got me a film scanner. It is really like looking back down a time tunnel... eerie. hongomania, frazels, Snow Dog and 5 others like this. A general question that I thought fitted best into this thread, I was up at buller yesterday and there was a stack of various ski patrol signs sitting at the top of bull run. On top of this pile was a 'Lois Run' sign (black diamond). I've been at buller for a number of years and this definitely isn't on the trail map, and I've never heard it spoken of. Anyone have any info? Never heard of Lois Run. As opposed to Lois Lane. CarveMan and dibl0c like this. 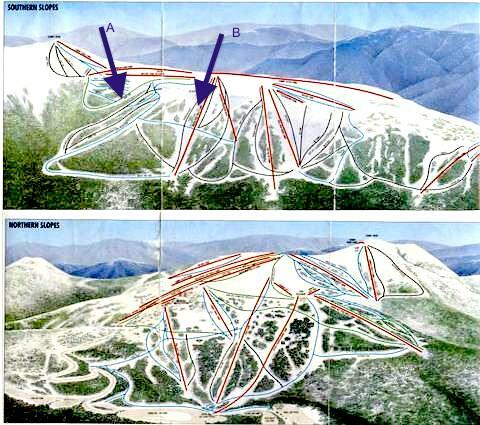 I seem to recall that several of those runs that don't exist were going to be added to the trail map several years ago. In the end only Hogs Back made it on. I heard that map was burnt and the creators of it have not been seen since. Great pics. Is that the dump that started Sunday afternoon and went thru to Monday? Ah, just realised it can't be the one I'm thinking of as i was driving a Hilux....that I purchased in 84. To be fair Hoggs Back is not exactly trade secret kind of thing. Character on Superman I believe! Snow Dog and mx_boarder like this. I enjoyed that! Showed Cyndi Lauper with Blue Angel before she hit the big time and explained why the Flowers became Icehouse. Good find!! I like talking about 1981. 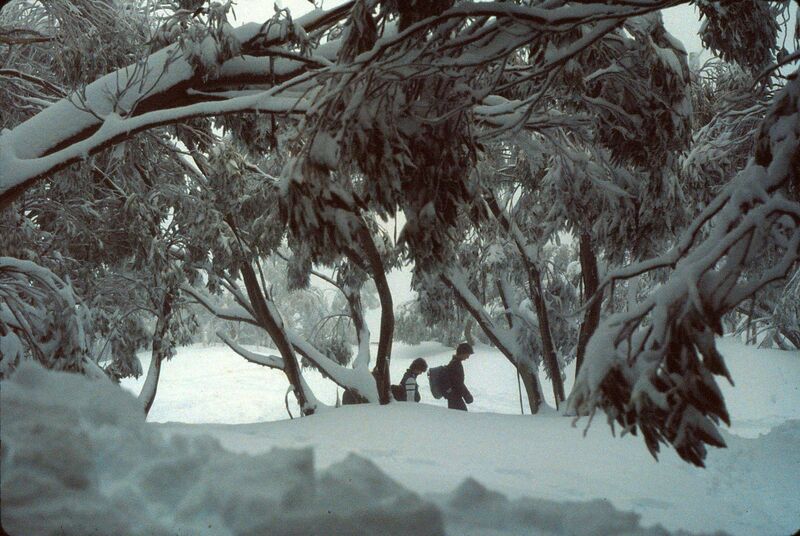 Did you know , I do, because I kept a log of the weather at the time, that it snowed everyday of August. Southerly after southerly just flowed in. 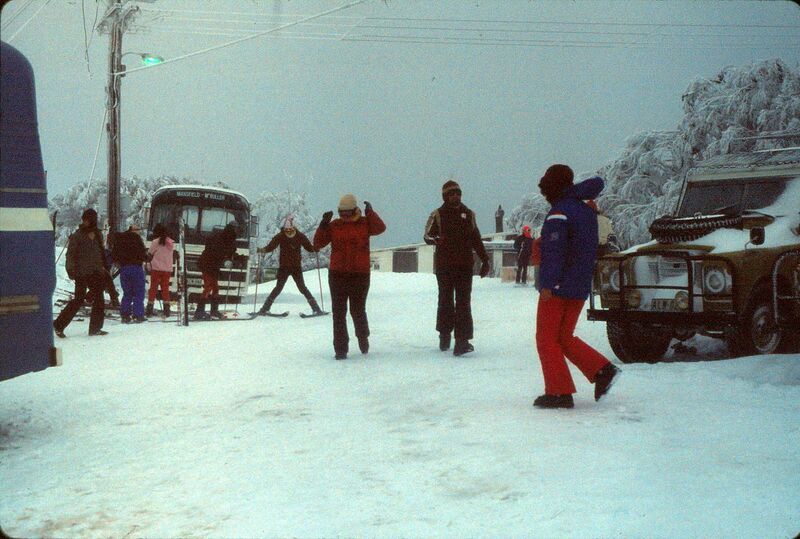 It was not the season to be a ski "towie" (aka liftie). 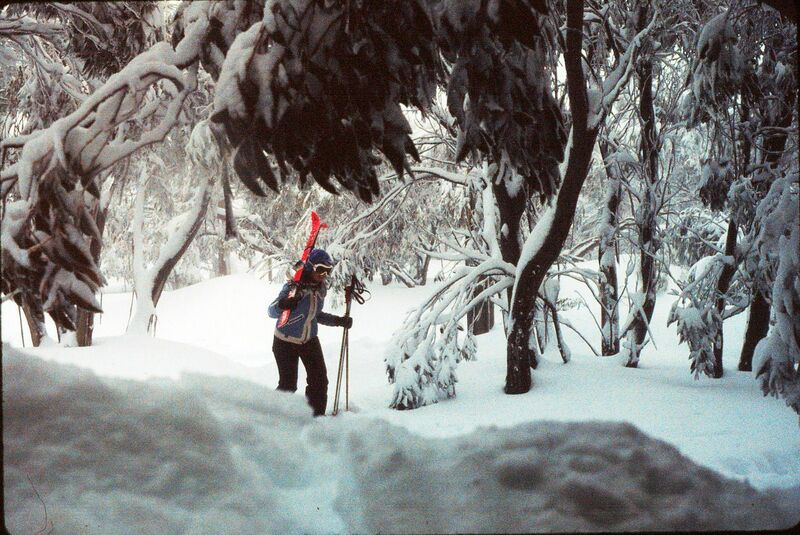 Every shovel full of snow , digging out counterweights and loading ramps , just blew back in again as it was real powder. 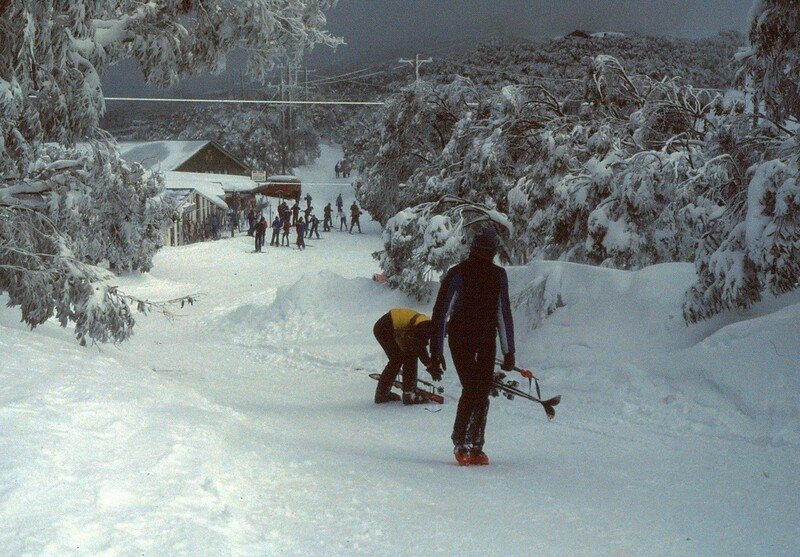 Hogs back did not have one rock to hit, it was more like a steep version of little buller spur. One towie fell off the back of the summit , whilst digging out the counter weights of the pomas. JS went to investigate as he was running the pomas only to find a shovel remaining. Well anyway he was OK , any other year he would not have been OK. He burnt through his overpants and stopped in a snow drift. A Snow groomer went up and they connected it to a long rope down to him. The groomer was past the kofflers T bar before the rope had pulled him to the top of the summit from the other side. Its pretty steep down the other side! Note the old blue bullet 1 , oh I mean the red crawler 0, in the background. DbSki and fletch like this. I got there Friday night, 10 July. Lots of snow already. Snow kept up for the next two days... through to 12th when I had to leave. Car had to be towed by a passing RACV (I only had NSW based NRMA road rescue membership). Bloke looked at this pasty 18 year old and said no worries fella. Pulled the Falcon out of the rear to hillside park position and parked his bull bar against the rear bumper and pushed me about 200m down the hill, where traffic had broken the slush up enough for me to continue, sans chains. Great weekend. On to Uni Melb after. Had a lot of fun on A, repeatedly. I had an Orange ticket. B, not so much fun. Was B a bit too steep for you at the time? Slip down did you ? 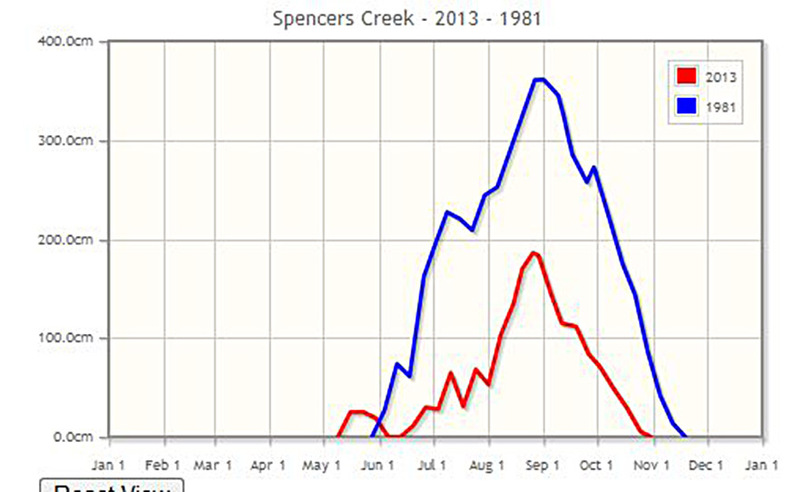 I looked up the Snowy mountains Spencer creek records. The depth there, did peak on September 1 at 361 cm. Now if you go back in a time machine don't set it to 1982 by mistake as that was the biggest let down of a season! Snow was quite heavy, low down. The home trail from base of A to B was thinning, but pretty with the tall timbers. But a free day each week on it made up for the hard slog. When I started I was skinny and after all the walking in snow, skiing, shovel work and Georges vat-o-fat cooking I came home with mucles popping out of everywhere. Partner's grandparents got some old film converted to DVD. 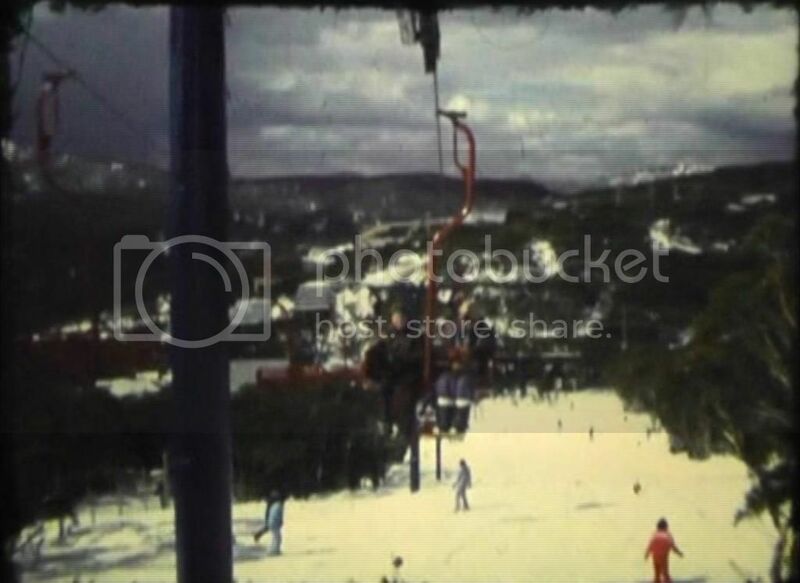 Footage of Buller in '77 (mostly tobogganing but some Bourke St). See if we can get some screenshots up at some stage. Footage of riding up Blue Bullet when it was a red double! Absolutely atrocious quality sorry! I can't label any of these because heck, I was born nearly 20 years later..! DbSki, dibl0c, VSG and 1 other person like this. Amelia, that's just what it was like back then - very little color in the olden days. Only a few years earlier and everything was just sepia. Spotted in the village on a 75-series yesterday, thought this was cool. 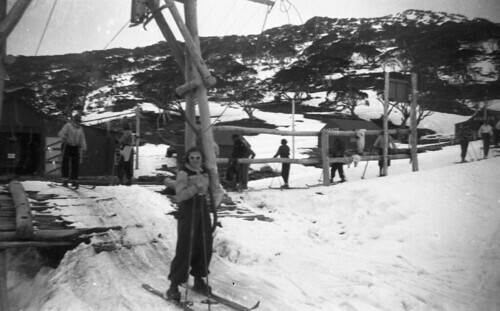 I think this may be at Buller about 1952. The lady on the Poma is my mother but she's no longer around to ask. I'm hoping I uploaded this ok, if not, hints on how to upload to this site would be good. Thanks. Whiteman and DbSki like this. 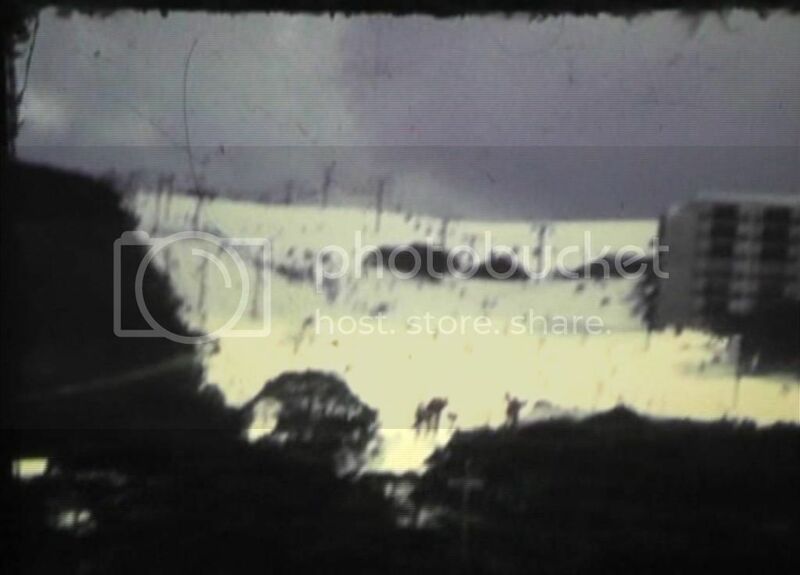 Hi Marion, thanks for sharing! You might need to scan the images at a higher res, so they appear as larger images. Hi. The original neg was scanned at a very high res, but I had to reduce it to put it on Flickr, so it could have a URL. It doesn't seem that I can upload directly from my computer. Any tips on how to do this better would be greatly appreciated. 1600 x 930 and much more, at least as a jpeg. I Hi Whiteman I've had another go at it.This is bigger, but it's much bigger on Flickr if you have access to it.My tag is elbajc there as well. It's interesting with buildings marked Garage and stables in the background. I think it is Buller from what she told me, but I'm not sure where on the mount. It would be a beginner run. What a great photo, Marion. 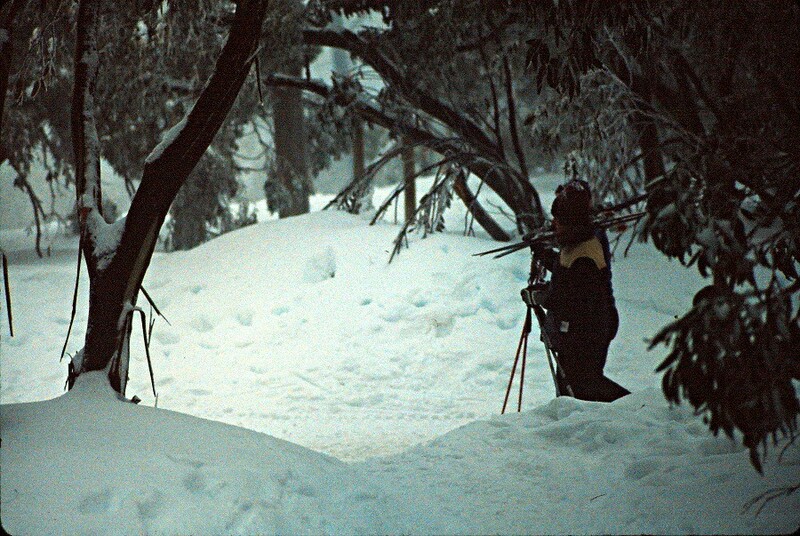 How much harder it must have been with the heavy woollen clothes and straight skis, compared the tech gear we have today. 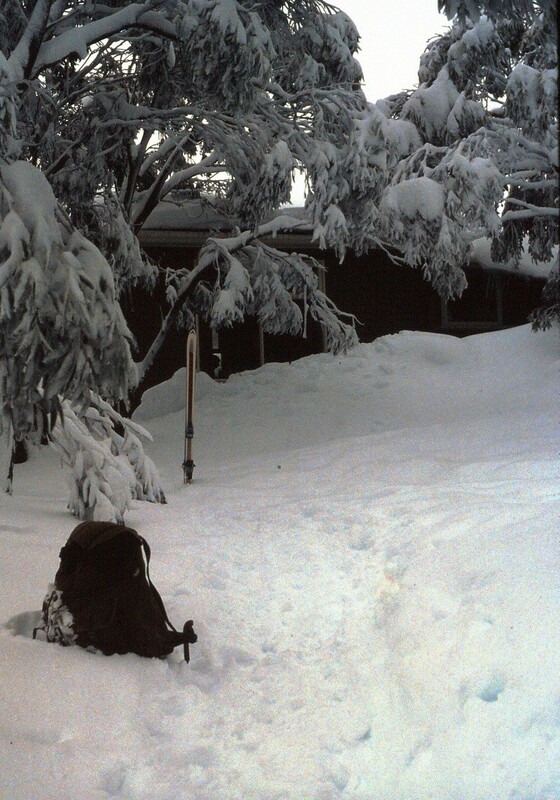 And interestingly, not huge quantities of snow by the looks back in 1952, either! It does look like the end of the season with the melt under way. I remember her telling me that they stayed in extremely basic accommodation down by the Sawmill. Hi Marion, I found you on Flikr, and had a good look at the image, and I see what you mean about the Garage & Stables buildings. 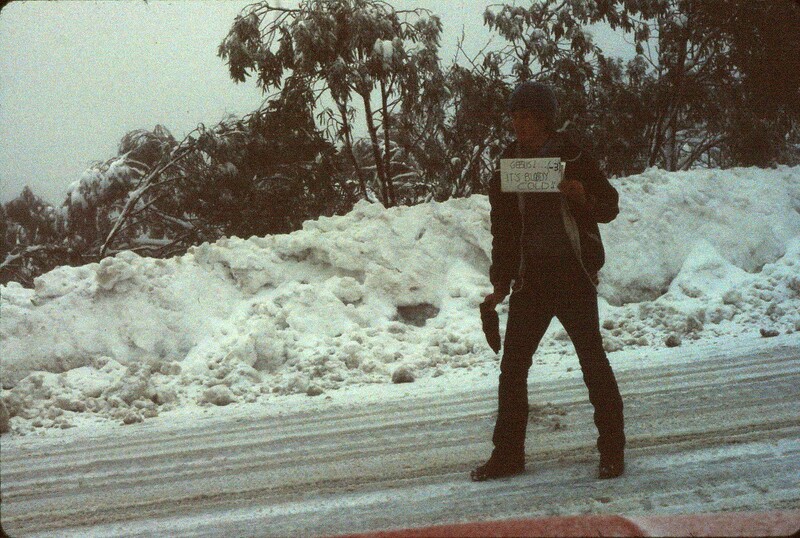 I'm not sure that it is actually at Mt Buller. I'm not aware of any tows that had wooden upright pylons, and a quick look at the Wikiski page shows the first Poma starting in 1964. 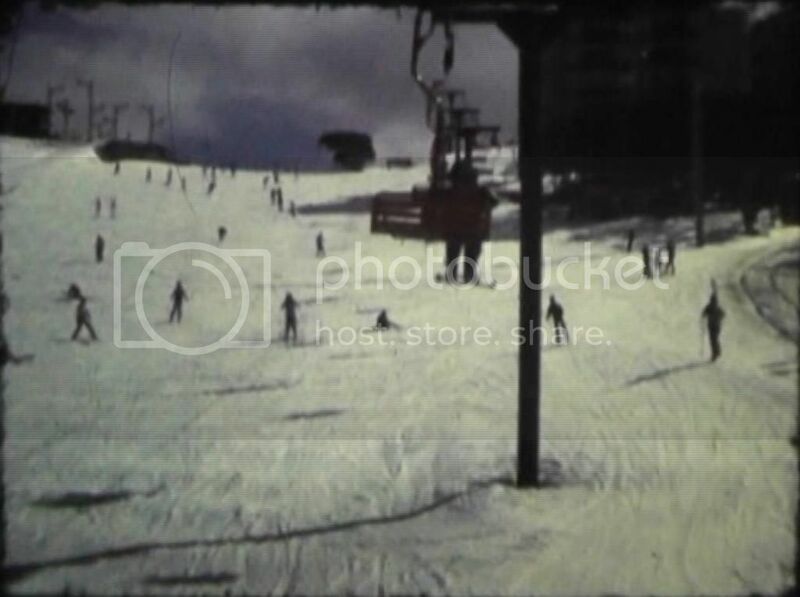 My parents in law met at Buller in 1955, and their slides only have rope tows and nutcrackers, and a few building such as the ski school and old SCV. 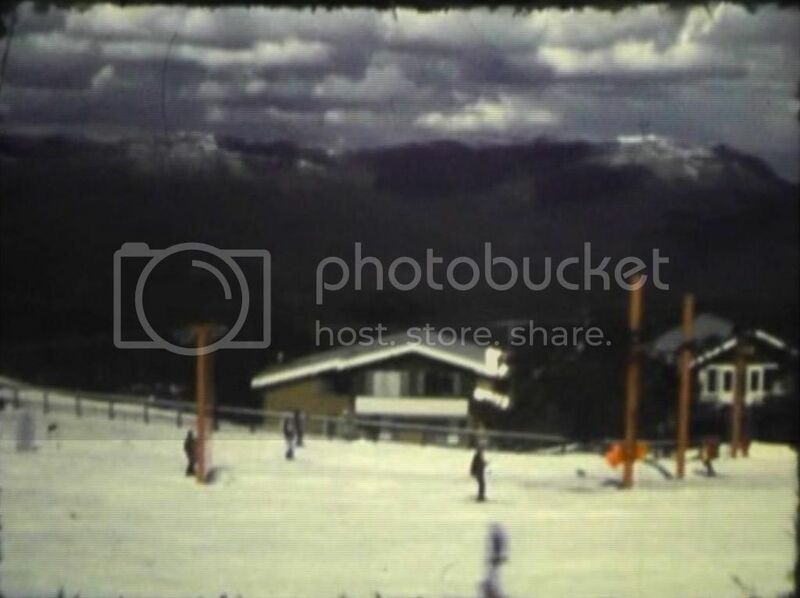 It is definitely recognizable as Mt Buller though. Someone must have some sort of clue. I agree that someone should know. 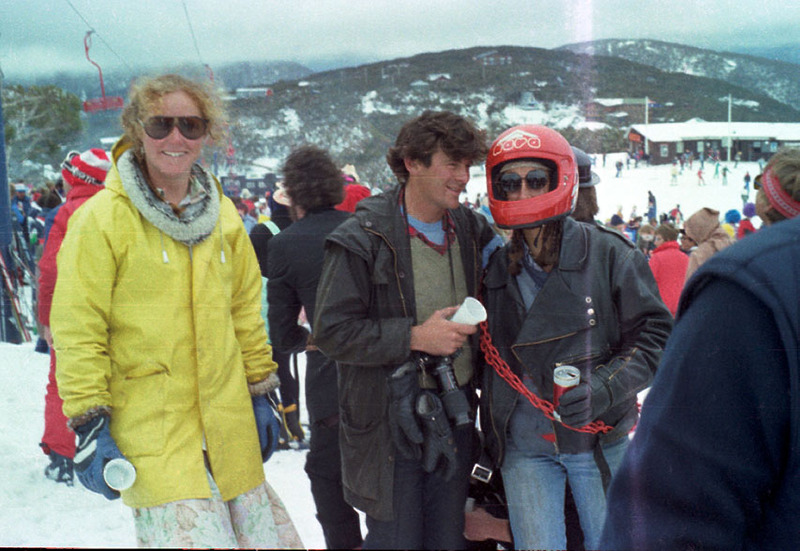 Do any veteran skiers or historians see this forum? Hahaha, yes there are lots of veterans and old timers that frequent this board!!! I wondered whether she remembered what part of the season she was there, whether it was early, late or mid season. 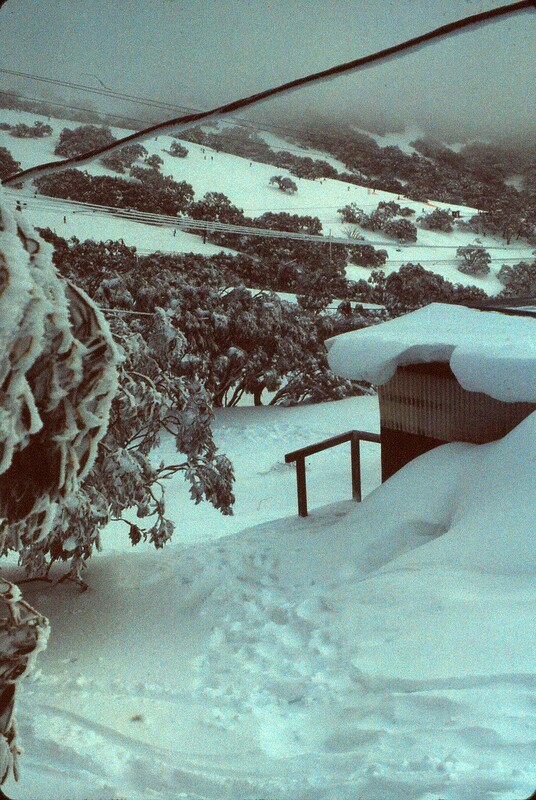 I'm looking forward to an autumn visit to Buller over the week leading up to Easter. Me and MrsH are looking to get our vacationing back on track so are taking that week off, just two weeks away now. I can't remember her telling me when in the season it was. I'm guessing pretty late by the look of the snow . IMO definitely not buller. looks moar nsw. I'm wondering if it is the Hotel Kosciusko at Diggers Creek (where Sponars is now). Mate of mine and his mate did the epic trail last weekend, 80km of tough as nails riding. He said it was awesome.